Whilst remaining a small family business our skills, interests and experience have evolved over the years to encompass a wide range of design and build work. From the small to medium sized garden schemes for which we are best known locally, to the design and construction of garden buildings, summer houses, garden-room house extensions and, on occasion, larger-scale home renovation projects and new homes complete with their garden surrounds. What We Do? We are particularly interested in designing across the boundaries of architecture and garden design; our most interesting and rewarding schemes often being those where the design of house and garden and their relationship to each other are considered as a whole. What gives us the most pleasure is working with our customers to design and construct things of real craftsmanship and beauty. Things which we are proud to have made, and which we know will give you enjoyment for many years to come. AGI Landscapes is a well established garden design company based in Lincoln with over 20 years experience. Our portfolio covers various garden styles, each of which is designed by working closely with our customers to create their perfect outside space which is both beautiful and functional. During the consultation process we work collaboratively with you and your family in order to capture your needs, and take time to ensure that we thoroughly understand your requirements before we begin the design process. This way we can take great pride in creating an outdoor space will is truly bespoke and that you all can enjoy. Our portfolio of work includes a wide range of garden designs from deck terraces and paved areas, to contemporary roof terraces, and large country gardens. Get in touch today! A bespoke garden design company who work closely with clients to create stylish gardens and landscapes , individuality designed , beautifully crafted. We work with professional construction teams and source plants from the top quality nurseries. Our mission is simple. To create inspirational gardens and landscapes, where exquisite plant combinations compliment only the finest quality hard landscaping materials. We are a small team of designers who work very closely with each project from concept to completion. Garden Blueprints is a RHS Gold medal winning Garden Design company who provide a bespoke garden design and planting service. We work together with clients by taking their dreams and requirements for their new garden and turning them into a reality. All of our designs are unique to the garden being designed as everybody's needs are different. We design all sizes and shaped gardens, small to large. We work closely with landscapers to ensure that the garden designed is built as the plan. We provide a planting service both for complete gardens and borders within a garden. Together we choose a palette of plants that will work with the aspect, location, type of soil and the amount of maintenance required. Lush Landscape & Garden Design is an innovative British studio that specialises in designing beautiful gardens and landscapes for home-owners, businesses, architects and property developers. 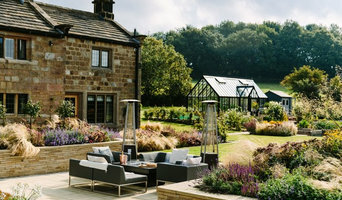 Founded by garden designer Anna Barker and based near Ashby de la Zouch in the East Midlands, UK, we design gardens for clients in Leicestershire, Derbyshire, Nottinghamshire, Warwickshire and Staffordshire, as well as further afield. 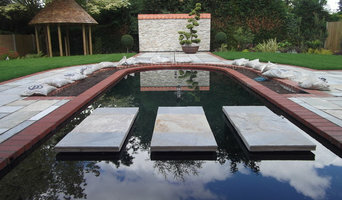 Garden design and consultancy - from simple advice on tricky problems to inspirational designs. We offer full planning and construction services - with beautiful planting schemes a speciality. From urban courtyards to heritage properties. 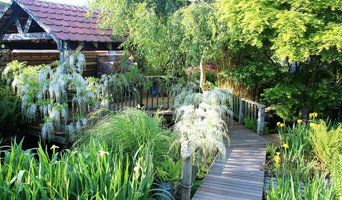 Emma Scarborough Garden Design Ltd is an award winning garden design practice working across the East Midlands. We offer a full garden design service to clients seeking bespoke outside spaces that are stylish, beautiful and functional. Our gardens, whether classic or contemporary in style, are characterized by the use of strong clean lines and elegant styling set against natural, fluid and imaginative planting to produce spaces that have atmosphere, spirit and uplift the senses. 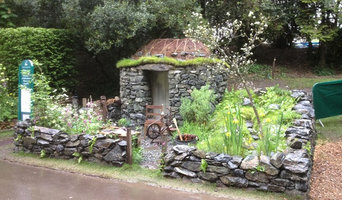 Elspeth Stockwell Garden Design Ltd.
We are an award winning garden design company providing a full garden design service. We also design and implement planting schemes for new and existing borders. We never do 'off the peg' - all our designs are genuinely bespoke - made to measure just for you. Pond specialists with 10 years experience. At The YGP Pond Specialists, we have many years of experience in designing and building ponds of every type and size. Initially, we will visit you for a full consultation service to discuss your ideas and advise on design options and suitability. We will talk about the type of pond you would like and carefully choose where it will be sited, taking into account the size and style of your garden, ground conditions, practical considerations and cost implications. Following this, we will come back to you with an estimated quote for the proposed project. We are able to provide a hand-drawn design, however, in most cases, customers are happy to discuss ideas and look at material samples. When it comes to building a pond, there are a number of potential problems that could arise if the job isn’t done properly, incurring unnecessary costs and a lot of hassle! This is where our pond building services can make a difference. The Pond Specialist can take care of the whole project, from thorough planning to sourcing the right equipment and materials, before constructing a pond that is built to last. Not forgetting the fun bit of course – we can help you choose plants and advise on buying and taking care of fish stock. Most of the time, all building work can be completed by the team at The YGP, however, we do call upon our trusted subcontractors, including electricians and tree surgeons, where necessary. We always aim to leave a site as we found it – there is nothing worse than clearing up other peoples mess! At The Pond Specialist, we adopt a very friendly and considerate work ethic, with minimal disruption to our client and their garden. Revitalising your outdoor space with a unique mix of outdoor decor, furniture and lighting. We have a city centre showroom, but are equally happy coming to you to discuss your outdoor space project. Creative Roots is a family run business based in West Bridgford, Nottingham. Established by father and son team Keith and Neil Sutcliffe the company offer three individual services available on their own or as an ongoing package. 'We design gardens. We build gardens. We maintain gardens.' Keith has over 30 years building experience and is a trained stone mason as well as a skilled bricklayer. Neil is a qualified garden designer with a portfolio of projects ranging from small terraced 'outdoor rooms' to classical period formal gardens. As a team they have designed and built a wide range of gardens throughout the Midlands with budgets ranging from £2,000 - £100,000. Our main territory is the East Midlands however we have designed and built gardens outside this area in the past and will consider projects anywhere within the UK. Although our main focus is on residential garden work we are happy to discuss commercial projects on an individual basis. A landscape architect will handle all design, supply, construction and administrative elements of your garden or landscaping project. They will take into account your needs, the Nottingham, Nottinghamshire climate and unique advantages and constraints of the landscape architecture. Typically, work will be based on ecological and environmental considerations, and a garden will be planned not only to look its best but also to facilitate future maintenance and growth so that it continues to flourish. A Nottingham, Nottinghamshire landscape architect can also design any outdoor buildings that are to be featured in your garden. Everything from design blueprints through to the plants themselves should be provided by your Nottingham, Nottinghamshire landscape architect. If there is other architectural development taking place on your site, bring the landscape architect in as early as possible. The expertise a landscape architect can apply to understanding your space and the natural environment could be vital to planning your project. Let your Nottingham, Nottinghamshire landscape architect work closely with your architect, surveyor and any other contractors in order to develop landscape architecture that works in accordance with any other construction. This is important from a design perspective as well as on a practical level – changes to the grading of a landscape and modifications such as drainage can have serious implications on the viability of your land for extensive building and structural works. In order to resolve any planning permission issues, submit all applications for building and landscape architecture together, well ahead of the project. The scope of garden designers, or landscape gardeners, is often more limited to green space projects which will optimise your existing outdoor space rather than altering the landscape architecture as a whole. Whereas landscape architects specialise in the structural aspect of garden planning and building, garden designers in Nottingham, Nottinghamshire will carry out projects that are of aesthetic and horticultural value. Landscape gardeners will make your garden the best version of itself with features such as walkways, patios, water features, fences and lighting, as well as choosing the right plants, trees and flowers. The practical role of a garden designer may vary by firm – some offer just the plans, requiring a separate contractor, while others fulfil the project in its entirety, from conceptualisation of the landscape gardening to construction. Don’t be put off by the former if you happen to find a good Nottingham, Nottinghamshire garden designer that you like – he or she will have local industry connections to introduce you to quality, reliable gardening professionals with whom they have existing relationships. Here are some related professionals and vendors to complement the work of landscape architects & garden designers: Landscape Contractors, Garden & Landscape Supplies, Tree Services, Lawn & Sprinklers, Decks, Patios, Sheds & Summerhouses. How do I choose landscape architects or garden designers in Nottingham, Nottinghamshire? When choosing your Nottingham, Nottinghamshire garden designer or landscape architect, be sure to research their qualifications and look at examples of their previous work. A portfolio of previous landscape architecture or garden projects is important to ascertain both their credentials as well as their style. Once you have shortlisted or chosen your architect or designer, an on-site meeting is essential so they can see exactly what they’ll be working with. Stay briefed on all plans and developments, both before and during the project as a plan you approved previously may change during the course of the project. Be very clear on your budget – just like plans, costs may alter while work is underway so ensure your professional keeps you informed and does not incur additional expense without approval. If you are open-minded and budget-conscious, consider approaching new graduates keen for experience, who may negotiate a lower rate than more experienced professionals. How long have you been landscape architects or garden designers in Nottingham, Nottinghamshire? Find a landscape architect or garden designer on Houzz. Narrow your search in the Professionals section of the website to Nottingham, Nottinghamshire landscape gardeners. You can also look through Nottingham, Nottinghamshire photos to find a garden you like, then contact the garden designers in Nottingham, Nottinghamshire who worked on it.